New Zealand is famous for providing the world’s best Merino wool. But, only wool meeting the highest quality standards receives New Zealand’s coveted MAPP® certification (Merino Advanced Performance Program). 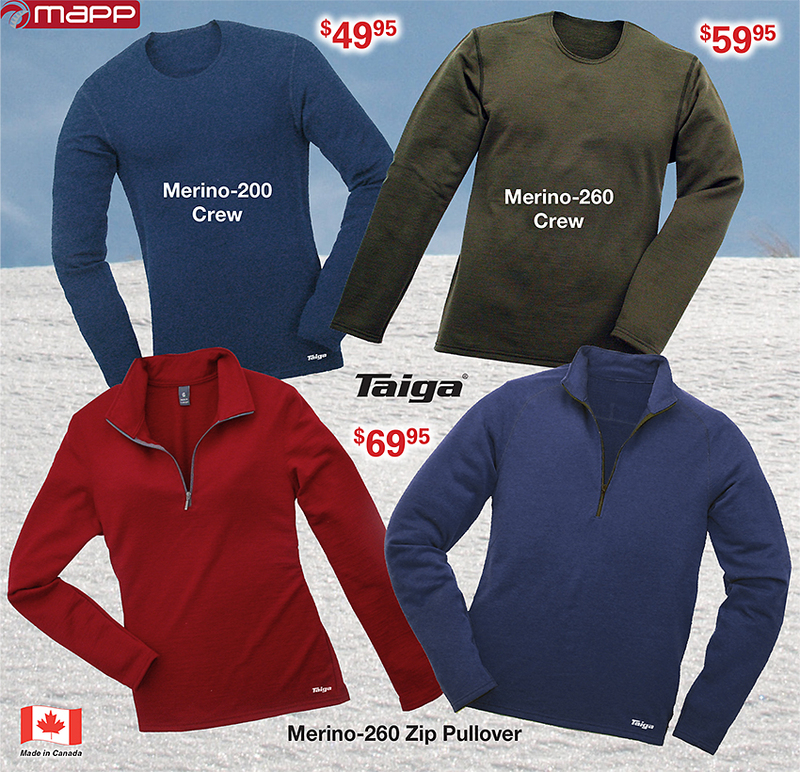 So, it's reassuring to know that all of TAIGA’s Merino wool is MAPP® certified. Naturally water-repellent & quick drying. Static-free – enhances body energy. Merino wool helps to regulate body temperature – keeping you warm in the cold (via an insulating layer of still air trapped in the fibres), and cool in the summer (via evaporation of sweat absorbed by the fabric). 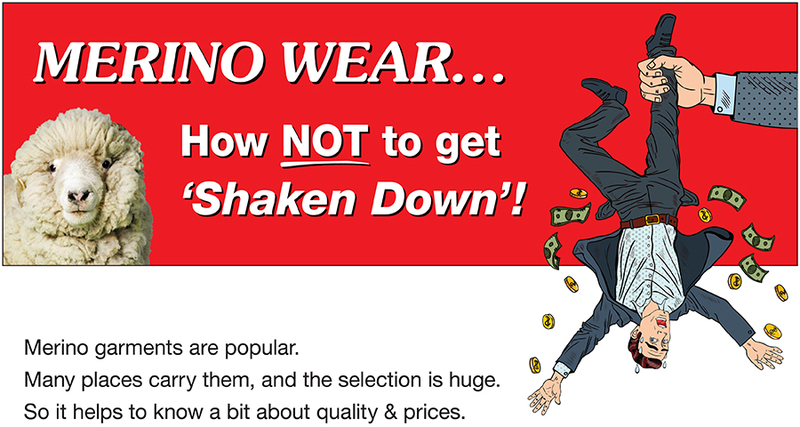 So, HOW to avoid the 'Shakedown'? You'd almost think that these folks are out to squeeze you to the max. selection – are still significantly higher than most of TAIGA's Regular prices (which remained unchanged since fall 2016). 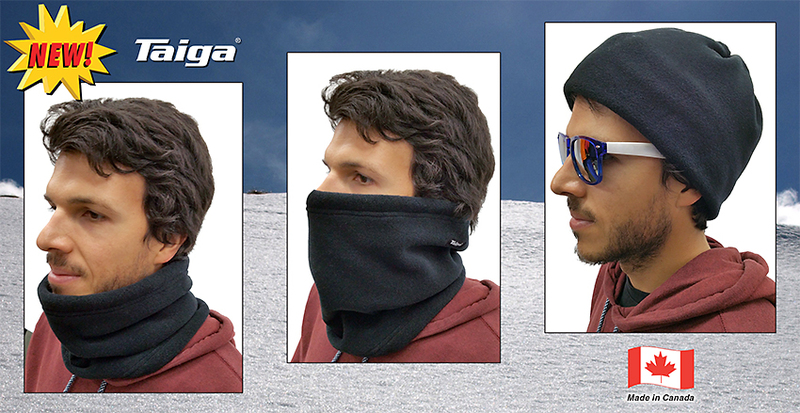 For maximal ventilation under the armpits. I love your stuff, and I love that it's made right here in Canada. I always try to buy my stuff through you folks, if you have the sizes. 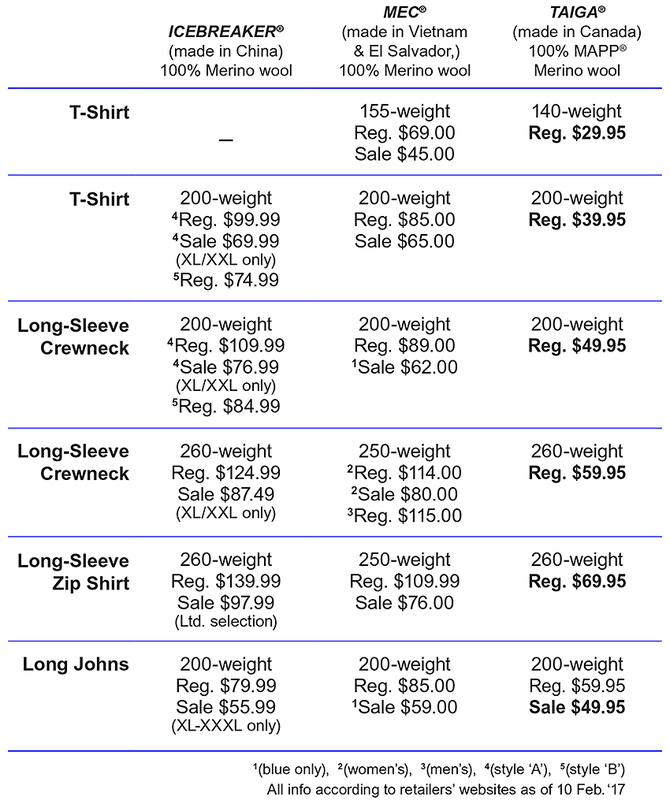 Bought some Merino wool this year… Great product, and the sizing was right on. Thanks for keeping it Built in Canada. That's special. I agree with your quality/cost statements. I wear your Merino long-sleeve top almost every day all year (except for 3 months of summer). 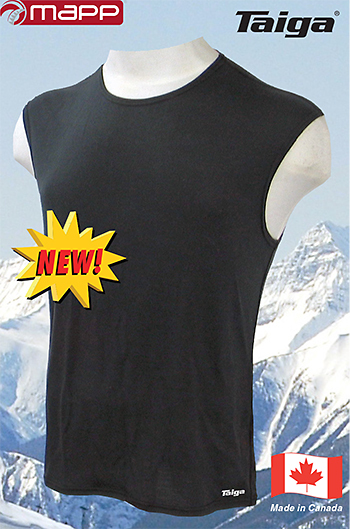 This is a brilliant base layer, and much longer lasting than Icebreaker. 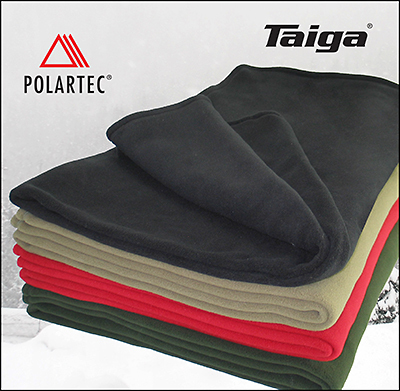 See all TAIGA® MAPP® Merino here. 3-Way Neck Tube, REG. NEW! water-repellent Polartec® 200 (U.S.-sourced). Drawstring top with cordlock. 3-Way Neck Tube, PRO NEW! Wind-resistant, highly water-repellent & snow-shedding Polartec® Wind Pro® stretch material with a cozy Polartec® Microfleece liner. Easily adjustable chin strap with hook/loop fastener. of all the fleeces). Comfortable, hook/loop-adjustable chin strap. Adjustable rear strap. 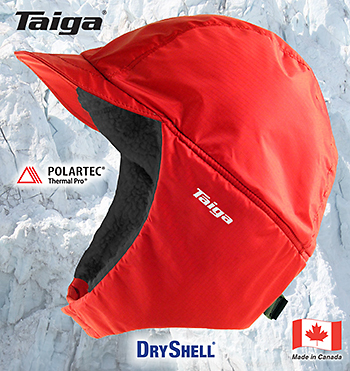 See all TAIGA® Headwear here. all other days at regular hours. Orders can be placed on-line 24/7, or by phone during regular hours. an item priced at Cdn.$ 100 would only cost you about US$ 76 - 77.